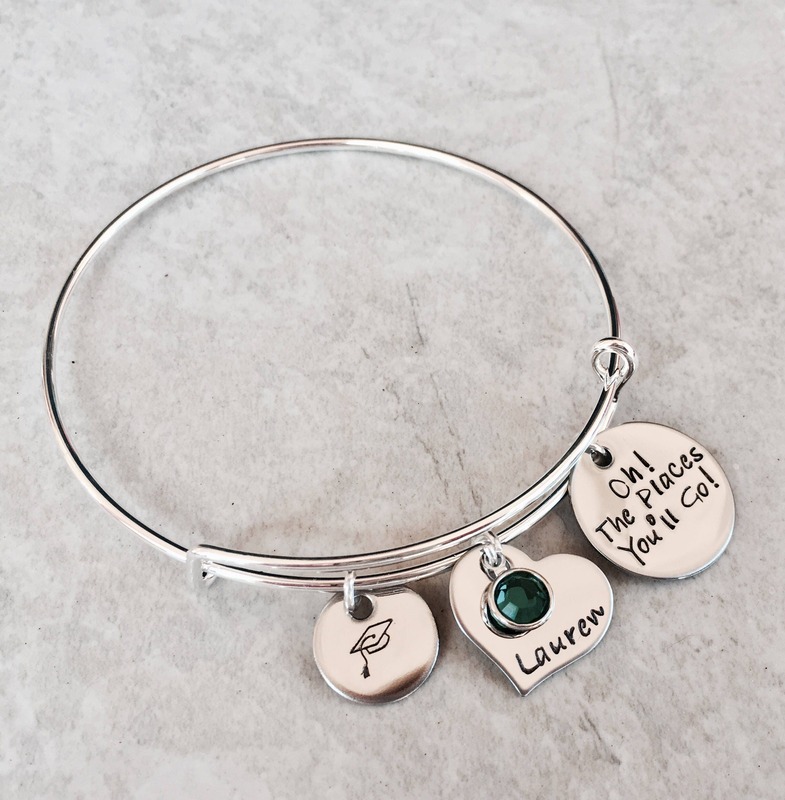 This cute bangle bracelet makes a great gift! 3/4" charm says, "Oh! The Places You'll Go!" 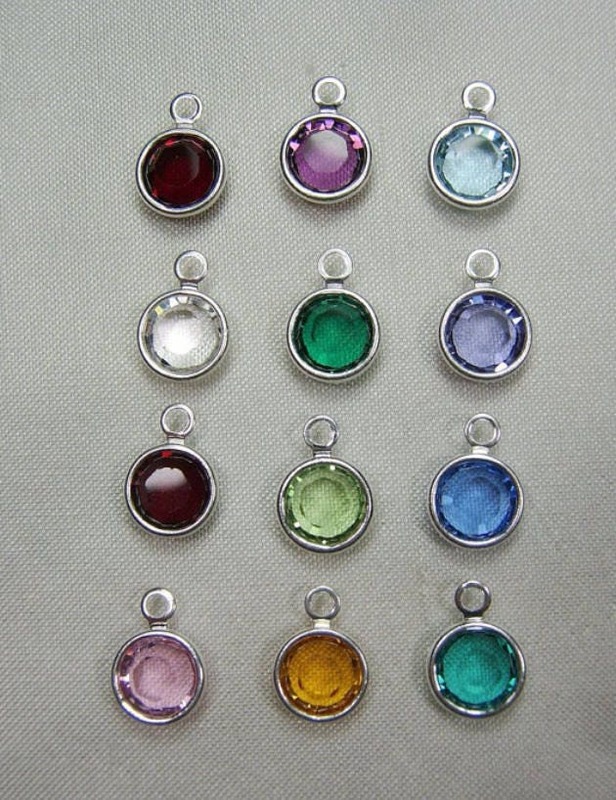 Includes heart charm with name (or date), and birthstone crystal. As well as graduation cap charm. 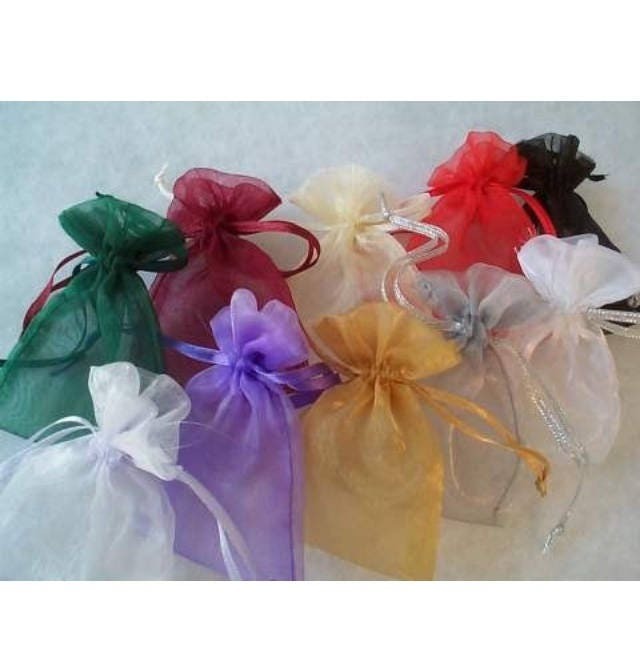 Please use the drop down menu provided to select the color crystal (or pearl) that you'd like included on your bracelet. *****TO PERSONALIZE: Please leave me the details that you'd like included in your bracelet in the notes section found on the check out page. If you have questions, or would like to change the design in any way, please feel free to send me a message.